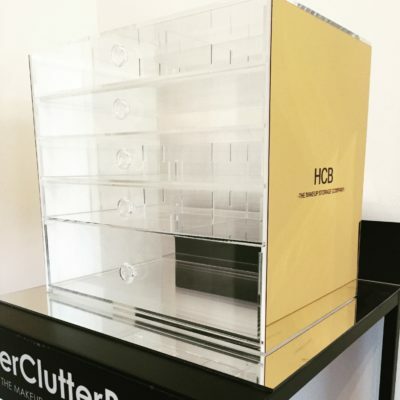 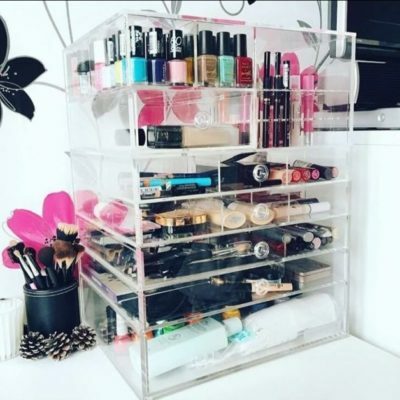 The Crystal Clear Spinning Tower is handmade using only the finest high grade durable acrylic. 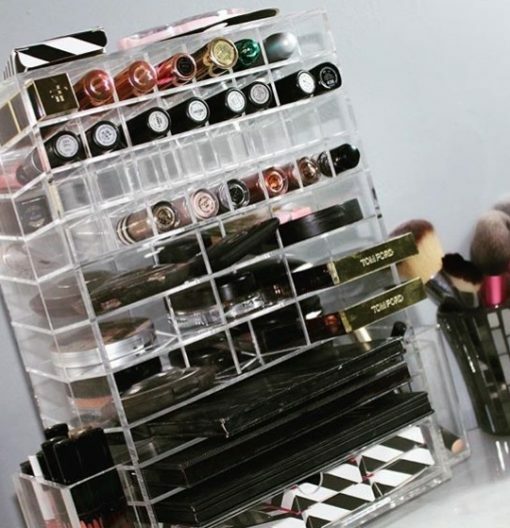 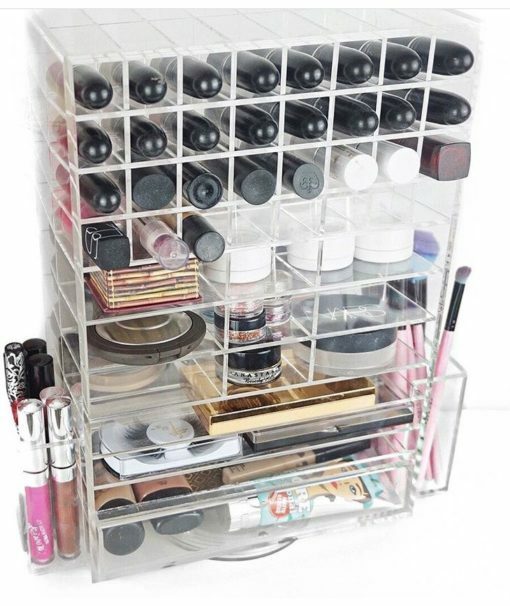 The tower can can house up to 72 lipsticks and 16 eyeshadow/powder palettes. 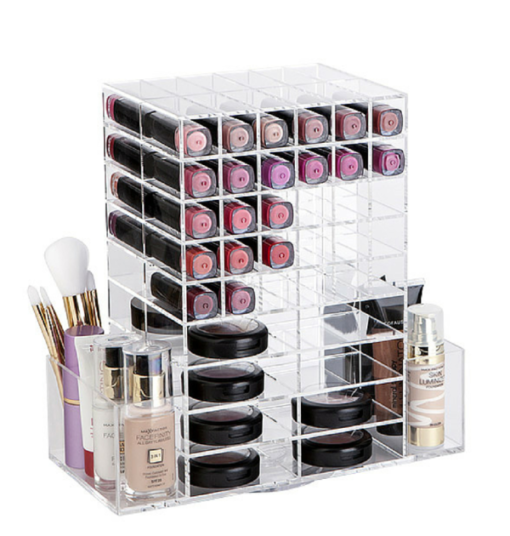 The side compartments can be used to store items such as makeup brushes and lip pencils. 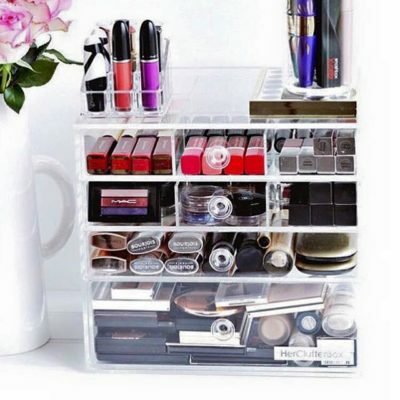 It also has 3 drawers. 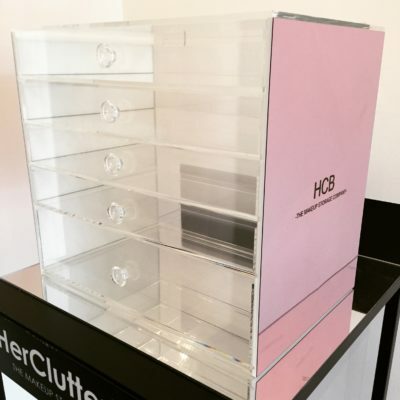 The entire unit can spin 360 degrees, allowing you to save space.